My day kids and tots- A captivating adventure for kids and adults. The show mode can be used to entertain little ones while also reinforcing and acknowledging all the good things in life. Kids game pack- talked about in Forbes magazine. Designed to improve the brains working memory and motor skills with vivid colors and great entertainment. 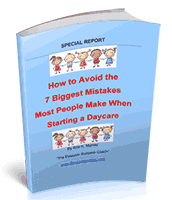 Great for all kids in child care. Pediatric Symptoms MD- This app was referenced in the November 2009 edition of Parents Magazine. This care guide help you make smart decisions on what level of care (if any) is needed, and how to provide speedy symptom relief for minor illnesses or injuries. Kidivities – at a loss for good new activities to keep your children happy? This app has plenty of great kid approved games and craft projects you can do in your daycare. Family fun – family friendly activities. Toddle teaser quizzing – Great interactive games for small children to help teach them skills they will need. Designed with different skill levels for kids of all ages. Voice toddler cards – the talking flashcard – English and Spanish allows you to teach your kids with talking flashcards. My baby signs – ALS for toddlers. Study after study keeps showing the ability and importance of teaching small kids to use simple sign language. This app can help you teach you kids the basic signs. Magic sleep – Music and sounds designed to help get small children to fall asleep faster. With a built in timer function plays the music for as long as you want with no need to continue restart a CD. Zatz days to — countdown of days until Christmas, Halloween. Just leave the iPhone docked and let the kids watch. Need I say more?